DNC for OSX 10.9 and above (Mavericks, Yosemite and El Capitan) EasyDNC for OSX is an easy to use DNC program specifically designed for uploading, downloading and dripfeeding of programs to and from CNC machines. EasyDNC is compact. Small enough to work on lower spec. laptops and those serving just one CNC but it’s a Multi-Tasking 64bit application able to manage dozens of separate CNC Profiles and switch instantly from one profile to another or connect to more than one to serve multiple CNCs at the same time. 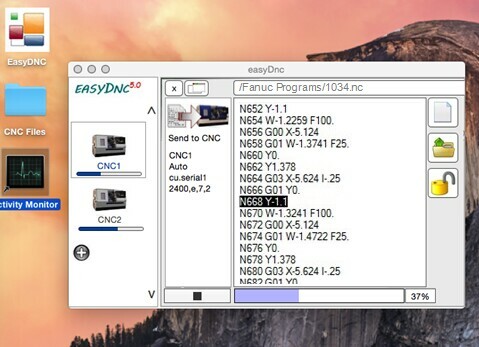 As well as quick and simple File-Transfer to and from cnc memory – EasyDNC can also Drip-Feed with Stop, Pause, Resume, Restart from any line, instant Rewind and even Single Step through sections of the CNC program EasyDNC for OSX is a true 64bit Mac App making full use of the latest hardware and multi-core processors. Compatible with Apple iMac, Macbook, MacBook Air, MacBook Pro running any version of OSX 10.9 or higher including the very latest El Capitan. August 26, 2016 FTP, Internet, SoftwareFileStream, Inc.
ConcordFTP is a robust and easy to use FTP client for transferring files. 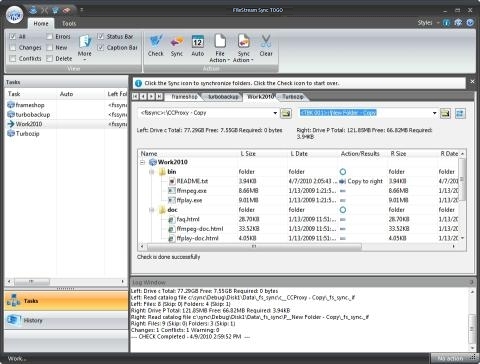 In addition to performing file transfer tasks, it offers many unique automation features, such as auto downloading only newer files, daily backup of your folders, or uploading or download files or images whenever they have been updated. You can run ConcordFTP in Interactive mode with drag and drop support; or you can run it in Silent mode for unattended, script-driven file transfers. It also includes color-coded HTML and over 20 code editors, for editing files on local PCs or transparently editing files on FTP servers. ConcordFTP provides the auto resume feature for upload and download with the ability to reconnect and retransfer a file from where it was left off. If there is a permanent error, it will skip the file and complete the rest of file transfers so you can fix the problems later and retry only failed transfers. ConcordFTP gives you the ability to transfer only files that have been updated. You can schedule ConcordFTP to check specified files, and upload or download only those that have been updated. You can also specify E-mail notification for successful or failed transfers. ConcordFTP offers you integrated zipping and transfer. If you want to zip files and folders and upload them to the server, you can do it in one single step. It not only saves you time and work, it also lets you complete the entire task in one program. ConcordFTP also offers integrated viewer of most file types, color-coded HTML editor and over 20 code editors, e.g. Java script, PHP, XML, and image manipulation functions let you work with server files as if they are on your local computers. The Quick Publish feature lets you transparently edit and update server files from anywhere in the world. August 26, 2016 Antivirus, Software, UtilitiesFileStream, Inc.
SafeShield is your best safety net. It protects your computers from virus attacks and system errors. You can visit any site, download anything, open any document or program, or do online banking, without worrying about being attacked, saving unwanted objects on your computer, leaving behind surfing tracks, or having security settings accidentally changed. Imagine being able to page through web sites without worrying about being attacked by virus, malwares… You don’t need to setup Firewall, Blacklist, and watch where you are going. Turn on SafeShield to create a virtual world (a copy of your Windows). Whenever you are ready to get out the virtual world, restart your computer and you are going back to how everything was before as if nothing has ever happened on your computer. In addition, SafeShield works well with all popular firewall, antivirus, antispyware, antimalware, and other security software. Using Virtualization Technology, which is an advanced technology with a simple concept, SafeShield is easy to use. You can install it on any computer and it takes one click to turn it on when you need it or when you are going to share your computer with others. The current version comes with the advanced features that let you optionally exclude folders and drives of your choice while still maintaining system protection. 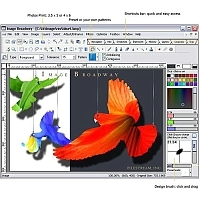 August 26, 2016 Image Editing, Multimedia & Design, SoftwareFileStream, Inc.
Compress and present your photos – FileStream FrameShop lets you stylize, touch up, share and enjoy your photos through E-mail, Facebook, Slideshow and Photo Show, and Digital Photo Frame. Do you have all your photos stored on your PC, but want to process and resize them all so you can stream them to your photo frame? Want to show off your trip through your photo frame in your living room? Want to create a slideshow on your memory sticks or CD to share with family and friends? With FrameShop, you can process and resize your entire photo collection easily with a simple wizard! State-of-the-art features ensure resized photos retain the best quality and are compatible on your devices regardless of format. 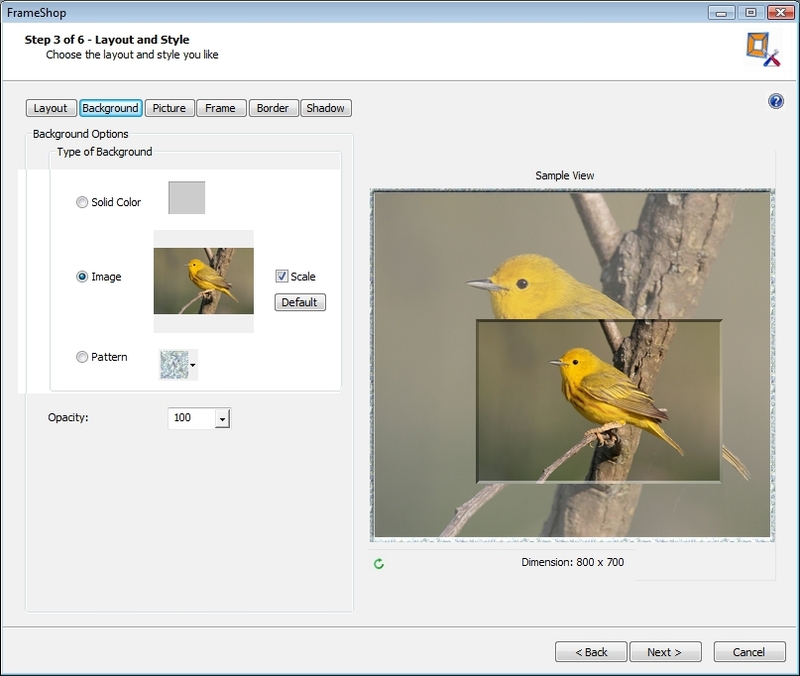 Intuitive features within FrameShop make creating your “picture perfect” photo show a snap! August 26, 2016 Security & Encryption, Software, UtilitiesFileStream, Inc.
FileStreamA? Secure Disk is the perfect solution for protecting sensitive information from theft and other attacks. This program makes a part or all of your hard disk, or removable drive, into a secure vault. All your private information stored on the Secure Disk will be protected by Strong Encryption. You can create multiple Secure Disks to compartmentalize data with the ability to move files from one Secure Disk to another. What you can do: * Make your personal files and folders private without any hassle. * Protect sensitive information on Laptop in case it is lost or stolen. * Create multiple Secure Disks from hard disks or USB disks. * Don’t have to encrypt the entire drive to have security protection. * Can still share computer but only you can see your Secure Disk. The Secure Disk vaults on your computer and on removable storage devices can only be accessed with the right login ID and password. This solution is easier to use and more flexible than encrypting your entire hard drive. In case your computer is logged in and left unattended, no one can access your sensitive information without logging into your Secure Disks. August 26, 2016 File Compression, Software, UtilitiesFileStream, Inc.
TurboZIP Express is a very powerful and intuitive, easy to use solution for handling ZIP and CAB files, and file spanning (splitting). In addition to the convenient and colorful program interface, the system integrates beautifully with Windows to quickly compress, decompress, or email single or multiple files without even opening up the program. Viewing files is a TurboZIP Express forte. A comprehensive list of internal viewing is supported for most popular formats, a quick peek is just a click away — all without ever extracting a single file! You can even view, edit text, HTML, or manipulate image files from within Zip and save it right back without ever extract a single file. August 26, 2016 Software, System Utilities, UtilitiesFileStream, Inc.
Have a faster, cleaner, and error-free PC. With over 40 Clean Up, Organize, and Stylize tools, WinSettings Pro makes your PCs always run like new! August 26, 2016 File & Disk Management, Software, UtilitiesFileStream, Inc.
Sync TOGO offers you options for synchronizing, mirroring, and backing up your files between your portable storage devices and computers. It provides you the Check feature so you can review and edit pending action before committing to it. Its customizable sync list display lets you see at a glance what is going to happen and the log will let you know what has actually happened to the files. The program also offers additional safeguard to keep a copy of deleted or overwritten files. Although you can copy files and folders manually via Explorer, Sync TOGO provides automation, information, accuracy, and backup of any deleted or changed folders even on USB device (no Recycle Bin on USB device in Windows Explorer). Sync TOGO is a portable application. In addition to installing the program on your computer, you can also install Sync TOGO directly on portable storage, where your files are stored, so you can carry it around without being concerned about synchronizing files with another computer that may not have the program installed. If the program is installed on USB device, it can run on hosts that do not allow installing software or when your account does not have Administrator rights. With Sync TOGO you will never again blindly transfer files between computers at the office and at home, with a Laptop or a Netbook, or USB flash drives and cameras.